The Anti-Fascist group that is widely known to protest the President of the United States Donald Trump has apparently told its members to find Confederate graves and desecrates them. The soldiers have been honored annually on the Anniversary of Gettysburg. This will be the 154th anniversary of the battle. Antifa has in the past been a part of a violent protest that has caused injuries. One of the cases was a man running around hitting people in the head with a bike lock. However, one person does not define an entire group. The group has burned American flags in the past. In Canada, the group has done counter protests against the Soldiers of Odin which are more Conservative than Antifa. Antifa also claims that it protests against racism, violence, and support for Muslim people. The Battle of Gettysburg is one of the largest battles fought during the civil war. A total of 160,000 soldiers fought in the battle. The wounded soldiers amount to 51,000. The area itself does, in fact, contain around 1,328 markers, memorials, and monuments. According to Harrisburg 100, the group might try to protest Donald Trump, and get in the way of hundreds if not thousands of people going to honor and visit the area. It is being said that officials say that they believe in the first amendment but are ready for disruptions. 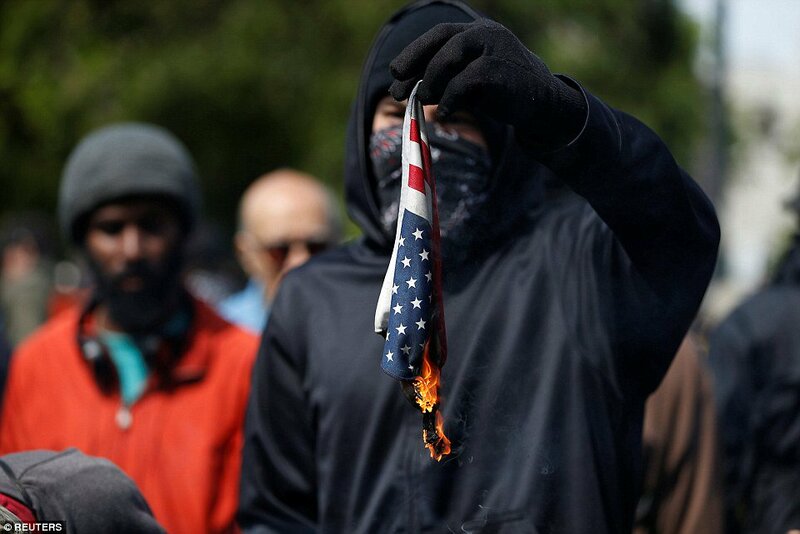 If Antifa does desecrate the graves of dead soldiers, it will undoubtedly cause a different level of anger to people who want to visit the area and to many Americans in general.